Forget using tech and big data for personalization – Snickers has a better idea … just let people tell you how they are feeling. 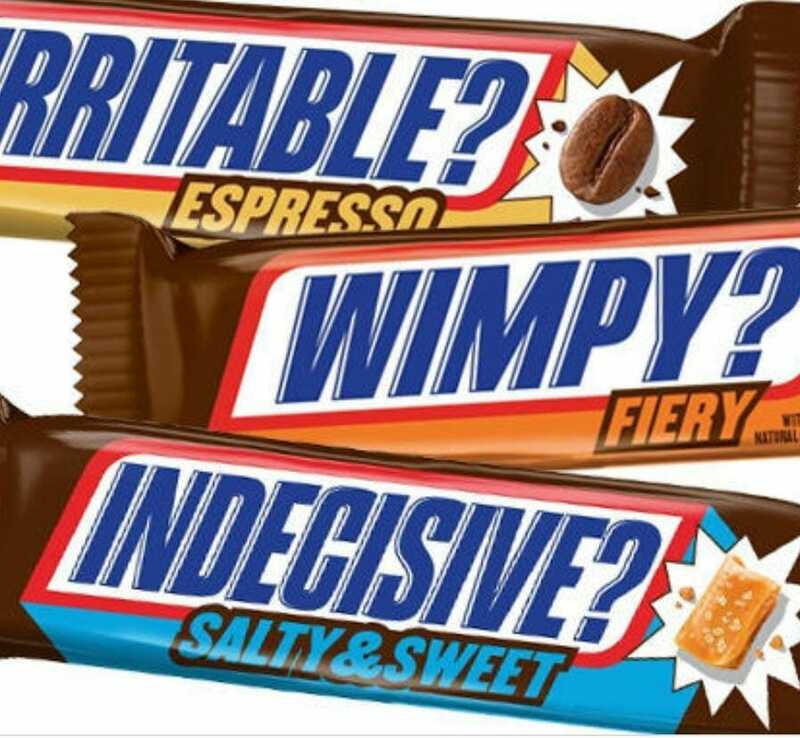 The new versions of their “hunger bar” (as they are now calling their product) which will come out in June 2018, branded along with the emotion that they might fit with (like Salty&Sweet for “Indecisive”). It’s a fun idea that might even work on a subconscious level you head toward the checkout, find a long line and pick up an Espresso-flavored Snickers bar just because it promises to help you if you’re feeling irritable.